When a program is just starting out, the prospect of taking on recruitment can seem daunting since Affiliate recruitment has so many various forms. Some tactics can be employed on and off the ShareASale network. 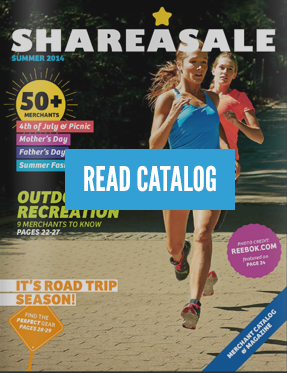 Within ShareASale, there are strategies that are free of charge as well as some paid options. We’ve highlighted some tips below that fit every category. In your Account Settings page, you will see a section for Search Keywords (below the link for Program Agreement). Be sure to utilize the available 255 characters. These are the terms your program will be associated with when an Affiliate uses “search by keyword” to find a new program to join. Merchants can sign up for a featured placement spot on the ShareASale Affiliate interface. This is an excellent way to advertise your program to all Affiliates that are part of the ShareASale network. The location, price, and duration of placements vary. See the “Become a Featured Program” page for full details. Success comes not with how many Affiliates you can recruit, but with how many quality Affiliates you build a relationship with. Don’t miss an opportunity to capitalize on your site visitors. Be sure to have an Affiliate page on your site which describes your program and includes a link to join. Additionally, consider a link to the program on your sales confirmation page. Your customers clearly love your product enough to purchase; there is also a good chance they may want to earn money telling their friends about it too! Your co-branded signup link is http://www.shareasale.com/shareasale.cfm?merchantID=YOURMERCHANTID (swap the YOURMERCHANTID with your ShareASale Merchant ID number). Put yourself in the shoes of your consumers: Where would your demographic be visiting? This is where your potential Affiliates are. Use the power of the internet to search for new partnerships and do keyword searches to seek out the Affiliates who have built content sites, PPC campaigns, or blogs. Create a presence for your program. Get involved in industry events and the Affiliate Marketing community. Affiliate Marketing is a relatively small space in the overall Marketing landscape. If you start getting more involved, you can give your program some grassroots growth. Face to face networking at events like the examples below are an excellent way to boost recruitment and build solid relationships with your Affiliates. Affiliate recruitment is traditionally slower during the fourth quarter since there may be fewer Affiliates looking to join new programs during this time. If you have a high sales season, be sure to put extra emphasis on recruitment several months before this season begins to allow Affiliates enough time to set up their site with your links and maximize the sales potential. Research the Affiliate’s site before contacting them. Craft a message that is concise using official stats and minimal sales jargon. Personalize! Reference exactly why you think they’d be a great partner.